This Multi-tasker Mother From Lahore is Goals! Even though Sahr Eqbal belonged to a small town, she always dreamed big. She always wanted to make a difference but the notion, ‘LOG KIA KAHEIN GAI’ haunted her dreams. Yet, she pressed forward, now she works for the government and runs a PR company dedicated to sports in Pakistan. “Trust me in small cities, like Sahiwal this phrase (log kya kahein gai) has become part of our family system. It doesn’t let us follow our dreams, trapping us in that atmosphere,” she says. 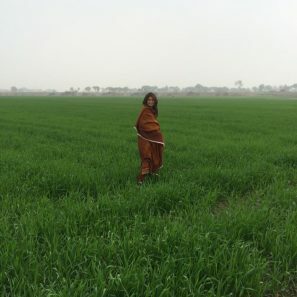 Currently based in Lahore and working as a government officer for the government of Punjab; along with running her own PR firm with partner Maheen Hussain. Sahr claims her PR firm is the only “all women” PR firm looking after sports projects. We looked after the PR of Leisure Leagues and Hockey World IX and also some part of brand PR in terms of PSL. She got her early education from ST. Mary’s Convent School, Sahiwal and had to move to Lahore when her father got posted there. “Kinnaird is an amazing institute. There, I got to see the various shades of women. I would not call them bullies but girls who would judge you by the type of brands you wore,” Sahr recalls. “When you are a teenager, you don’t know how to cope with these negative emotions. These emotions can either become your strength or the reason for your destruction,” she explains. The comments never broke her rather she used the energy to achieve her goals, she says that the one thing that she still wanted to do for herself was to stand up and tell them (the bullies) that the outside world is beyond superficial things. Sahr was always fascinated by journalism opting for print journalism she worked at two major newspapers in Lahore as their writer. During the period, the PR industry started to blossom and she joined Moody’s International as a media consultant and after that Encyclomedia PR. “Since I had a passion for PR, by now, I just couldn’t get it out of my system. 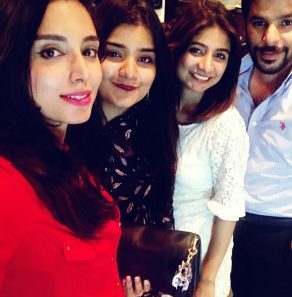 One day, Maheen came over and talked to me about forming our own PR firm, at first, I was reluctant as I did not have the confidence to handle the pressure from my current job plus the PR company. After much insistence and support from Maheen, I decided to give it a try. We did PR for multiple renowned brands and artist management but sports is a different, diverse field and we really wanted to explore the field. So, here we are,” she recalls. “People are not ready to see two females running around and feeding the information to the press. When we started with Leisure League, we witnessed that the entire field is full of men and we were the only females running around. “We took it as a challenge and decided to work solely for sports,” laughs Sahr. “I was scared of giving up my dreams. The girls in that respective area were not allowed to work and I could hear their murmurs that she is from the city and she would take the guy back with her,” she talks about her marriage. “There are a zillion things that you have to carry along to prove your worth. You cannot ignore your home at first; I am lucky because my mother looks after my son during my office hours,” she explains. “A support system is very important for any working woman,” she concludes. 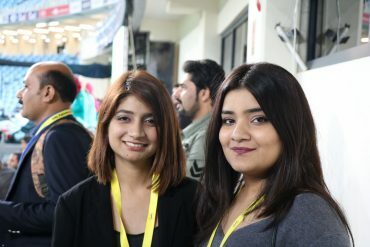 Previous PostIs the Internet empowering women in Pakistan? We find out! Next PostThis Pakistani Plus Size Hijabi Just Got Featured on BBC For All The Right Reasons!